The printing press changed the way we create and share new ideas, art and literature forever. Today we continue this legacy of putting paper to work and capivating audiences. Whether its to connect, educate, get noticed or ignite action, ink on paper leaves an lasting impression. We’re plugged into the future of print, with the expertise and solutions to maximize productivity in both classic pressrooms and cutting-edge digital shops. Our relationships with best-in-class manufacturers and print customers ensure that we stay current with the latest products and services that help printers create beautiful, powerful print collateral. Not only does Spicers provide the infrastructure, products, services and specialists to support your business goals, we’ll also help you stand out in a competitive landscape. Our National Technical Sales Group uses a tailor-made strategic approach to help customers find efficiencies while focusing on their specific business goals and challenges. Our passion is productivity: we provide all the tools and resources our partners need to print more boldly, more beautifully and more easily year after year. 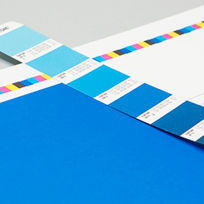 And we offer solutions for every step of the printing process from prepress and pressroom to finishing. Pressrooms are always evolving. Let Spicers help you stay ahead of the curve. Spicers is pleased to provide you with a quick way to locate Material Safety Data Sheets (MSDS) for Graphic Arts products. If you cannot locate the Material Safety Data Sheet you are looking for please contact your local branch. Flint Group / Day International Inc.
Prisco Graphics of Canada, Inc.